RSX Wheel Project....Before or After? Those wheels on the red RSX look more like a dark silver/gray rather than gunmetal. shoulda left them stock, and gave it a 1" drop. I liked the OEM look better - bronze will probably be an improvement, but not very low-key. Either way, your car, so if you like it, ! you don't like the Volk CE28? i like them a lot actually .. i have my 02-04 stockies painted black .. and i thought that looked sick .. now i wna do gunmetal ! Re: RSX Wheel Project....Before or After? whats the name of this rims? whats the name of those bronze rims? Brembo big brake and Tein coilover question. 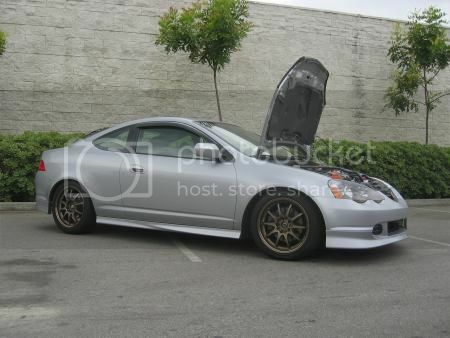 Quick Reply: RSX Wheel Project....Before or After?